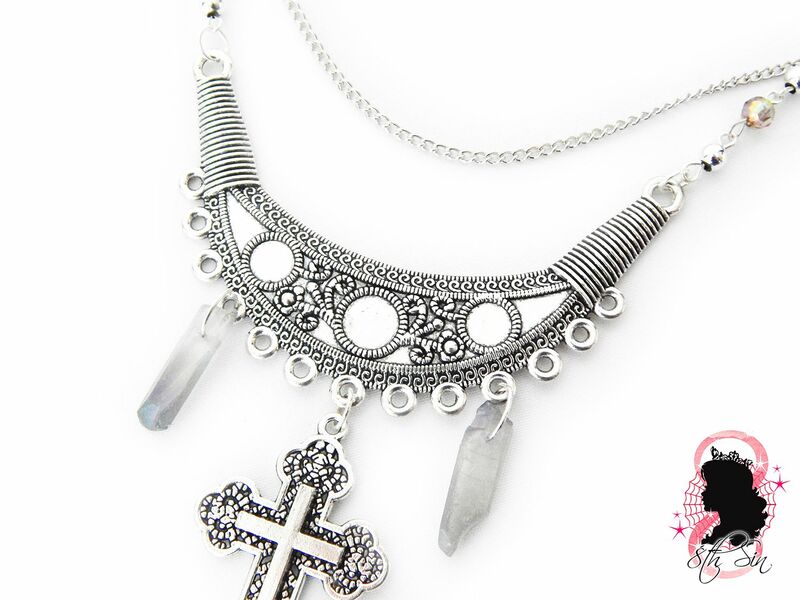 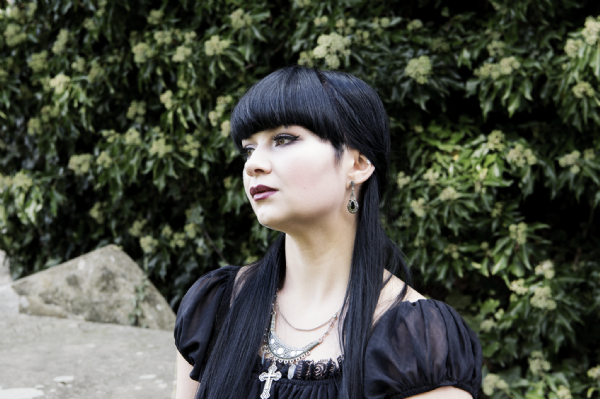 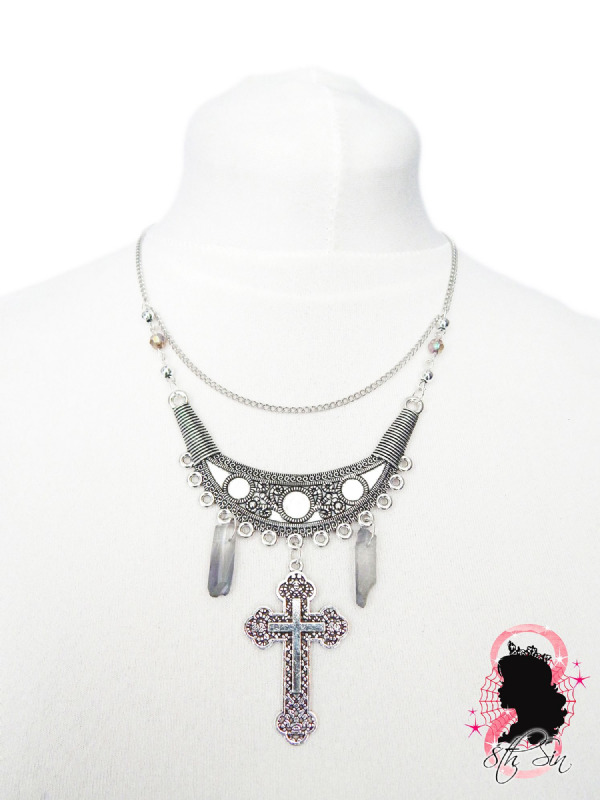 This is an antique silver necklace featuring a large antique style cross pendant and smoky crystal quartz points on an ornate silver crescent pendant. Made with silver plated findings, genuine smoky crystal quartz points and acrylic bicone beads. 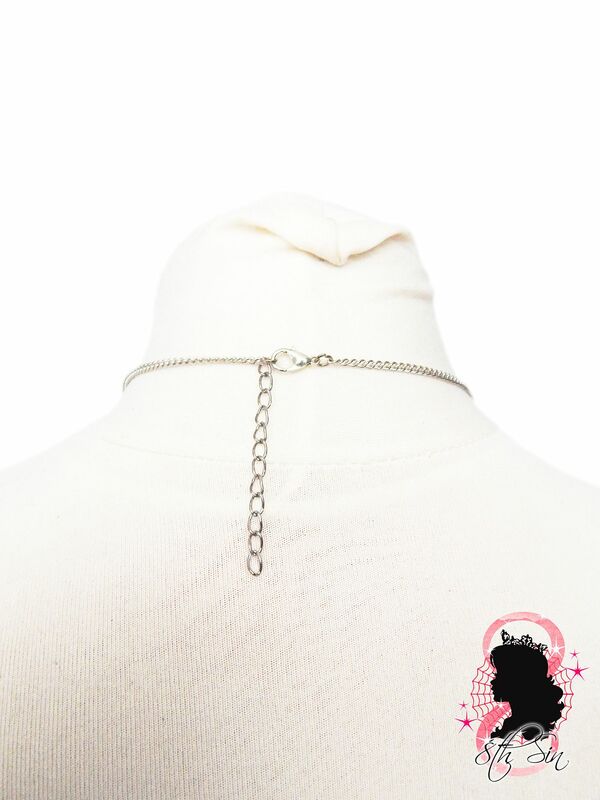 The choker length is 23"-25" including a 2" extender chain allowing you to adjust the necklace length. Custom lengths are also accepted, simply leave your desired length in the "Note to seller" part of checkout. 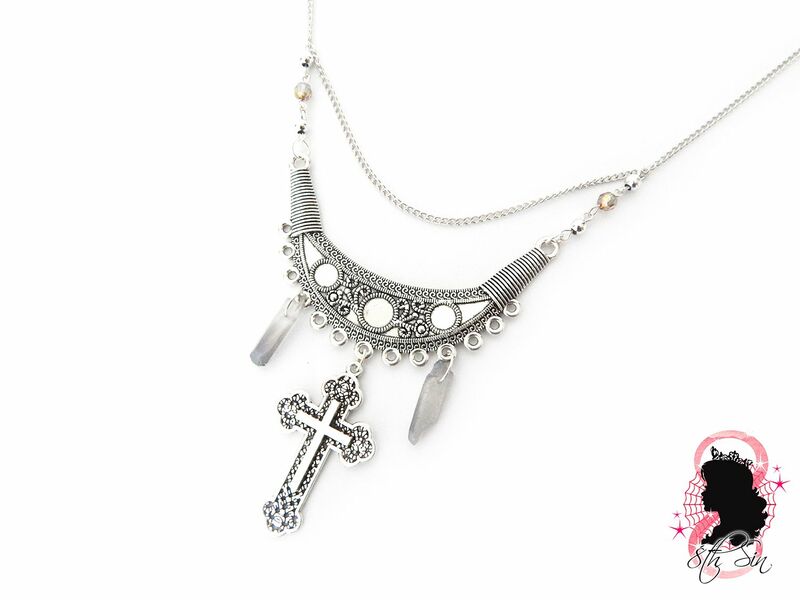 The main pendant length from the crescent pendant to the cross is 4" in length; including the beaded chain the length is 5.5".